The following exercise will help to relieve the congested feelings of allergies and sinusitis. The slowness and concentration on each breath have the additional benefit of alleviating stress and anxiety. Sit as usual with your feet flat on the floor, shoulder-width apart, hands resting on your lap. Close your eyes as you breathe in slowly through your nose for a count of 4. Expand your lungs filling them completely but not to the point of lightheadedness. Slowly breathe out through your mouth. Count to 8 as you do so, if possible. Continue breathing in through your nose and out through your mouth for no less than 12 times. 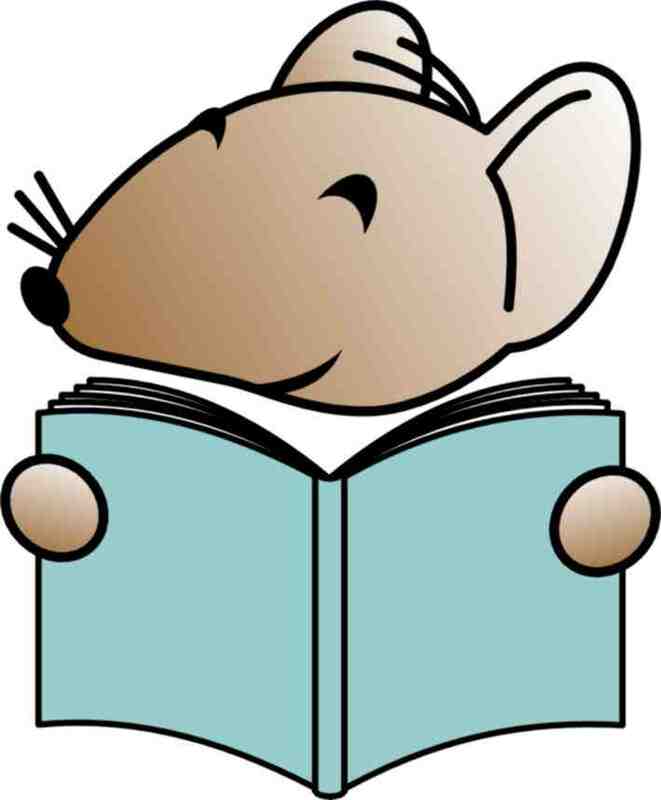 Click on the illustration above to enlarge your view. 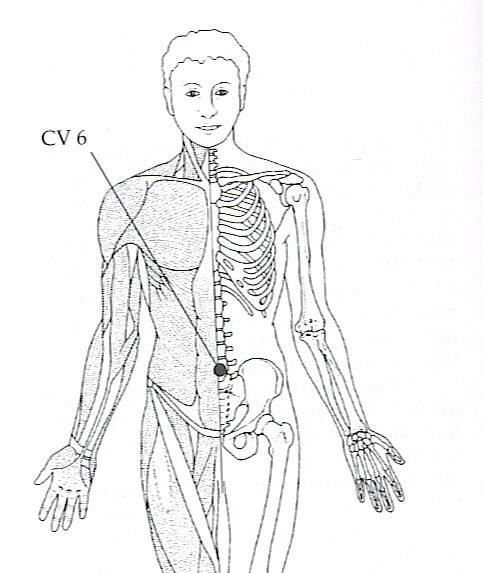 The illustration is from Michael Reed Gach’s book, Acupressure’s Potent Points. 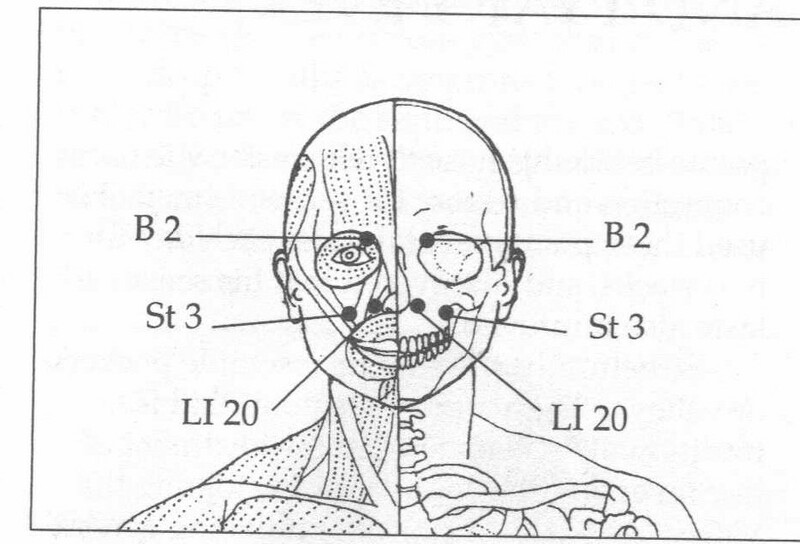 Locate the point labeled LI 20. The points can be found right alongside your nostrils on both sides of your nose. Press firmly on both points for no less than a full minute. Benefits: These points will alleviate sinus congestion and pain as well as facial paralysis and swelling. The exercise this week is a bit harder than the previous ones. You will need to be careful when you first try out this exercise. You’ll be sitting fairly close to the edge of your chair so if your balance is not particularly good, skip this exercise and go back to a previous one that seemed beneficial and safe. As always, consult with your physician before beginning any new exercise. Before you begin, take at least six slow, thoughtful breaths in through your nose and out through your mouth. Slide to the edge of your chair – carefully, not too far. You will be bringing your arms up behind you. Make sure there is enough clearance so that you don’t bang your hands or arms on your chair. Now, lace your fingers with your arms behind you. Breathe in and then breathe out as you bend over your thighs lifting your arms up behind you as far as they will go. Hold for a few seconds, then breathe in again as you lower your arms and sit up straight. 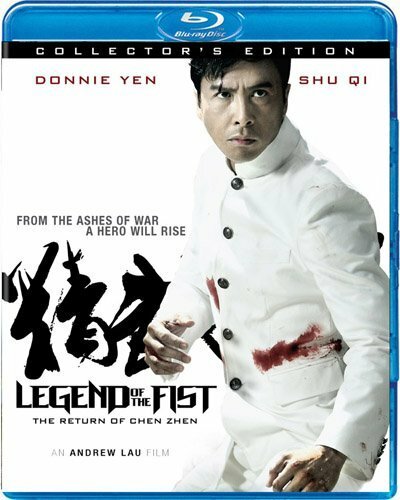 Continue bending over your thighs and lifting your laced hands upward as far as is comfortable. Repeat 6 to 12 times if possible. 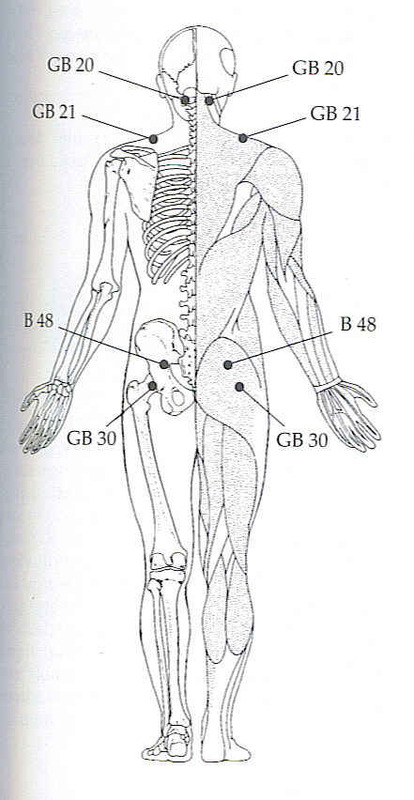 Look at the photo above from Michael Reed Gach’s book, Acupressure’s Potent points, to see where this man has his fingers. 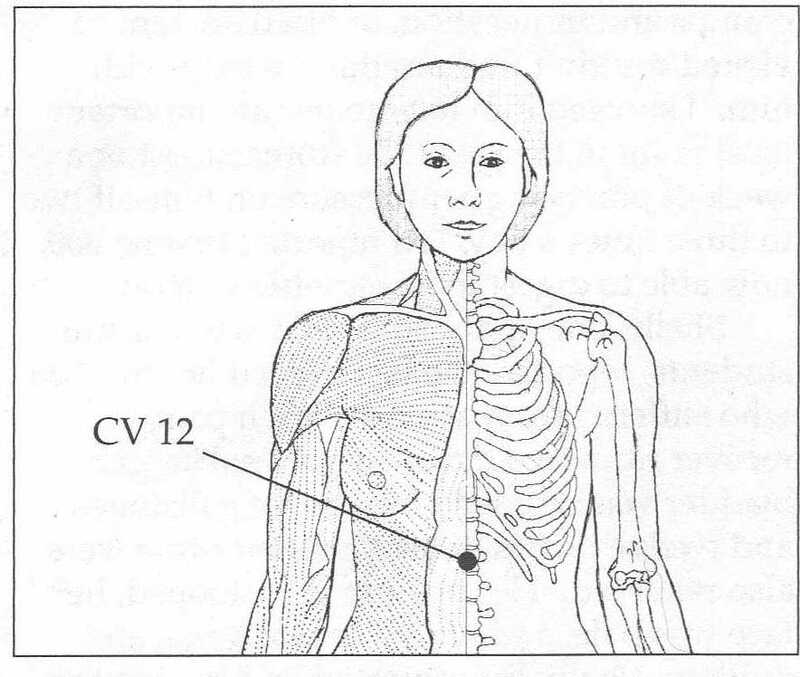 Using your thumbs, locate these points directly below your skull and between the two large muscles in the back of your neck. Press on both sides for a full minute breathing in and out slowly through your nose. 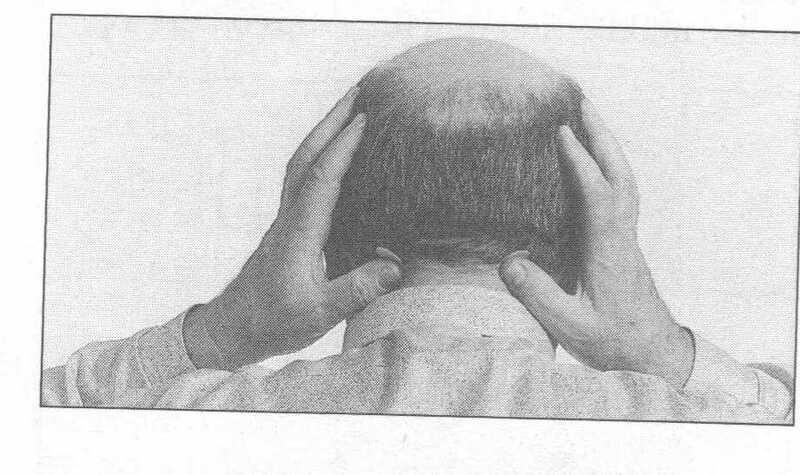 Benefits: These effective points will relieve arthritis in your shoulders, neck and head. Use these points to alleviate the pain of a headache and to relax a stiff neck. These exercises are designed to strengthen your shoulder muscles. You may use weights to increase the amount of benefit from the arm swings but use caution. If you have recently undergone surgery on your shoulder, consult with your physician before beginning this exercise and especially if you plan to use weights. Sit as usual with your feet flat on the floor shoulder-width apart, back supported by the back of your chair. 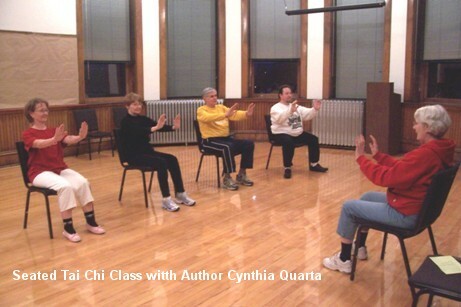 For this exercise, it might be best to sit in a chair without arms. Begin with a breath in through your nose. Then, swing one arm back slowly, return to the center and then swing your arm to the front slowly and return to the center, then out to the side and pause and return to your starting position. 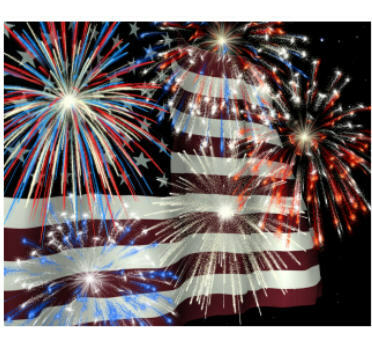 Continue to breathe in and out through your nose only but don’t try to match your breaths with your arm swings. Repeat the front and back swing and then the side swing for a minimum of 6 sets. Change arms and repeat steps #2 through #4. Stop and rest. If you feel up to repeating the exercise with each arm once again, do so. But, don’t overdo it with too many repetitions. 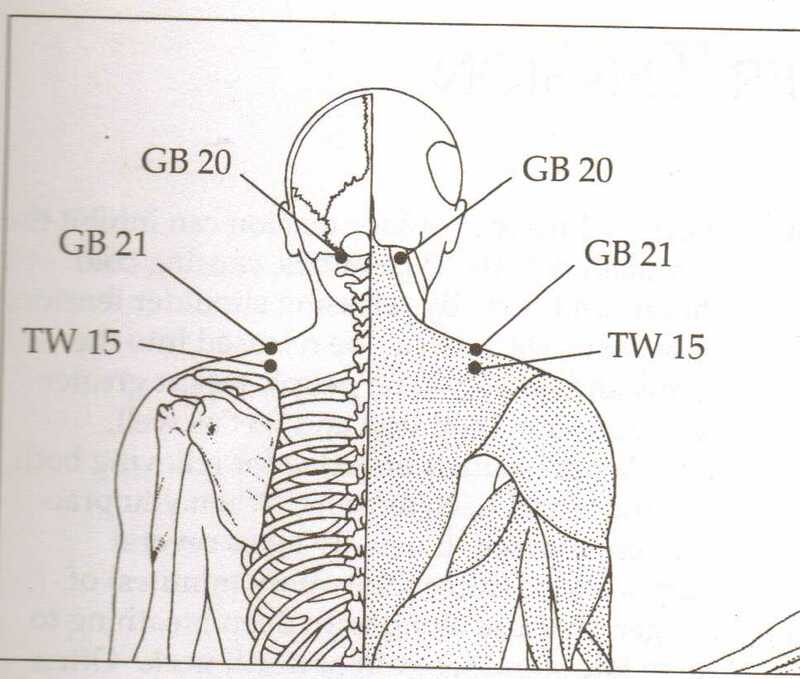 Locate the acupressure point labeled GB 20 on the illustration above from Michael Reed Gach’s book, Acupressure’s Potent Points. Use both hands so you can press firmly on these two points. Hold for a full minute. You may use this point as often during the day as necessary.